I know there are a lot of nonprofits, and your money can go to many different places. But I’m grateful that you chose to donate to the Boys’ Club of New York and invest in my son’s future. As a single mother, it’s tough to provide a range of extracurricular activities for my son, Elijah. To be honest, I don’t know what I’d do without the Boys’ Club. Without it, Elijah would be a latchkey kid. He’d play too many video games, wouldn’t read as much, and he certainly wouldn’t be attending Brooklyn Tech this Fall. Elijah joined Gerry Clubhouse when he was six. The $5 membership fee was a no-brainer for me. Most programs require you to pay for each service, but at BCNY Elijah received everything – tutoring, art classes, swimming lessons, sports and fitness, and more – for only $5 per year. Initially, Elijah struggled socially. He was shy, but occasionally lashed out aggressively. The social workers provided us with individual and family counseling. It helped teach Elijah how to express his emotions and advocate for himself. One of my proudest moments was when Elijah came home from BCNY and told me he voluntarily signed himself up for tutoring sessions. I’m grateful for Carmela, the High School Access Director, who helped us navigate the high school application process. She’s truly God sent. 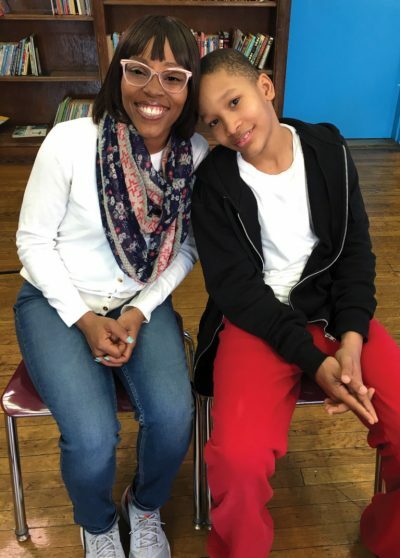 Carmela suggested schools that complemented Elijah’s academic potential and career interests because she knew my son, not just his grades and test scores. My son got into Brooklyn Tech because of BCNY and his willingness to do the work. Elijah is going to be a grown man one day. I like that BCNY sets high expectations for its members and provides them with structure and discipline. It’s not a babysitting service. The Boys’ Club teaches my son to show up on time, participate fully, and be part of his community. Gerry Clubhouse is Spanish Harlem’s best kept secret. I tell everyone I know to sign their sons up. From the bottom of my heart, I thank you for donating to BCNY. I urge you to continue doing so, as it’s a game changer for my family and other families in Harlem.